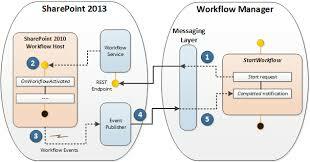 SharePoint 2013 supports Workflow Manager workflows. Which means they totally different with 2010 workflows. In reality what happens is that we publish a subscription for the particular list. Though its been a while SharePoint 2013 has come, I have seen many people struggling without getting this done. So I thought its worth sharing a sample code snippet with an explanation. To get a detailed explanation, we need to have a little understanding on the following classes. Depending on the level of information you have, you might need to consider using a third-party tool as well when you have a complex structure that may include different site columns and so on. Migrating SharePoint data from one to another is a different BUSINESS.